Some thoughts on the state of civic education from our time attending SXSW EDU in Austin, Texas. Educational programming by (and at) the Mathews Center often falls into a sort of “third way” of educational philosophy. Young people’s civic competency can be greatly enhanced by their education inside the hallowed halls of the school or university. But it doesn’t come to fruition until it is put to use in the larger world. On the flipside, attending to issues of civic competency at the ballot box or volunteer drive doesn’t suffice either. If we wait until our children are our leaders to teach civic education we have waited too long. Therefore, a lot of what we do at the DMC focuses on civic education as a collaborative effort: how can municipalities, classroom and community educators, nonprofits, and schools work together to equip our future citizens with the skills they need to create a verdant, civically fruitful society? 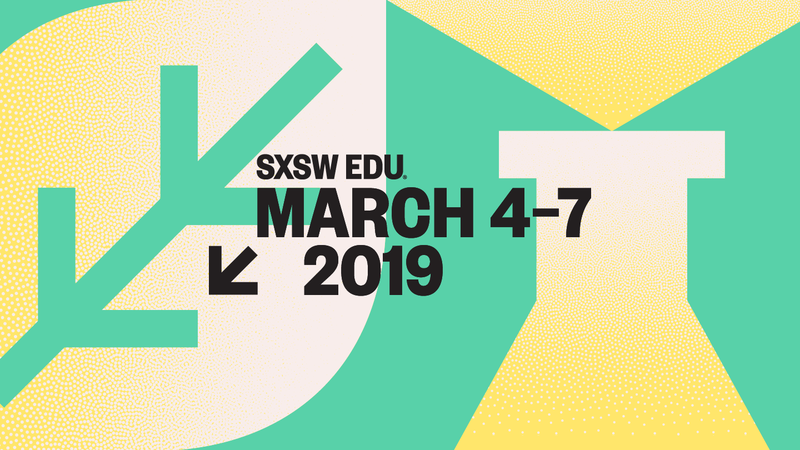 And, I’m sure you’re now asking, “how exactly is this relevant to South by Southwest Education week?” Well, I had the pleasure of attending the 2019 SXSW EDU week and was inspired to see the third way embraced. In four action-packed days Rebecca Cleveland and I had the privilege of attending session after session of “third way” discussion on education. Sessions filled with innovators, elected officials, community leaders, and educators who recognized that the success of young people depends upon collective effort, and that the challenges they face are often the result of wicked problems. This session, which featured Darius Baxter (GOODProject), Lisa Fitzgerald (APEX Community Advancement), and David Brooks and Dan Porterfield (The Aspen Institute), highlighted the ways that community “weavers” across the nation are knitting together citizens in an age of increasing social discord and isolation. LeVar Burton is one of the most well-known actors in America, however, despite his award-winning roles in Roots and Star Trek: The Next Generation, the role he is most known for is that of himself during the 21 season run of Reading Rainbow. A lifelong advocate for the importance of literacy programming for children, Burton spoke to the essential role of libraries in the modern day, how literacy is essential to the success of democracy, and the way in which stories can inspire empathy and a greater understanding of each other. As a non-techie with an English and communication degree I didn’t think the possibilities of virtual reality in the classroom would appeal to me. However, TuesD Chambers and Quinn Longhurst, from Seattle Public Schools, as well as one of Quinn’s students, Avery, converted us. They shared the unique ways that virtual reality tools can open up place-based, immersive, and career technical opportunities to students. Virtual reality provides educators an opportunity to bring curriculum to life. Some VR field trip shared with us included this VR walk-through of the annex which Ann Frank hid in with her family and Share Care which allows students to study anatomy by journeying through the body.